A vehicle which was stolen from a pet centre in Hassocks was involved in a police pursuit in Hove, police said. The Land Rover Freelander was stolen from Hassocks Pet Centre in Keymer Road on Christmas Eve, leaving its owner Steve Edgington devastated. A Sussex Police spokesman confirmed today that a 26-year-old Hastings man had been arrested and charged following the police pursuit on Sunday (January 13). They said: “A man has been arrested and charged following a police pursuit in Hove. Officers pursued a vehicle along West Way, Hove, before it collided into the wall of the Grenadier Pub in Hangleton Way. A man fled from the vehicle. “The vehicle had been stolen from Keymer Road, Hassocks on Monday, December 24. The owner of the car has been informed that the vehicle has been recovered. 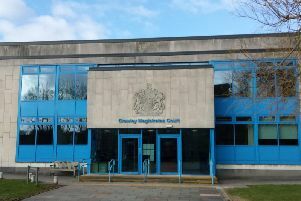 “Tony Cooper, 26, of Quantock Gardens, Hastings, was charged with aggravated vehicle taking, dangerous driving, driving without insurance and driving while disqualified.